Persian Sultanabad 12 x 18 Rug 14099. 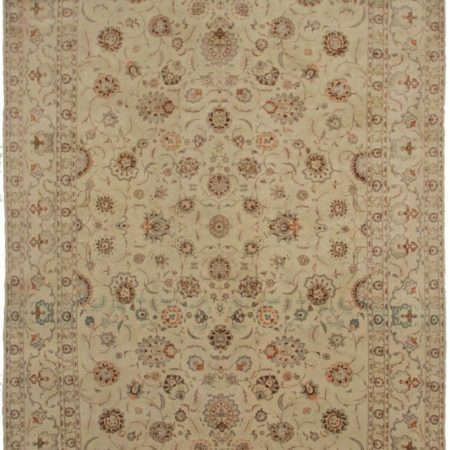 Hand knotted wool Oriental rug. 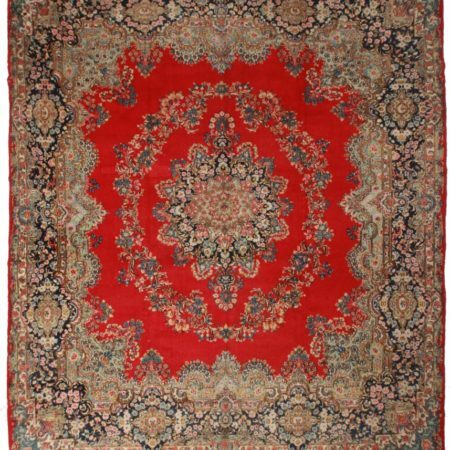 The city of Sultanabad or Arak is one of the major center of rug production in Iran. The carpets are distinguished as the highest quality of Mahal manufactured in the region. Various types were woven in parallel by nomadic tribes, in village and town workshops, and even by royal manufacturers. They represent the tradition and reflect the history of Iran and its people. They are treasured and collected all over the world today. Hand woven Persian carpets and rugs were regarded as objects of high value and prestige by ancient Greek, until today. Even though medallions were a main theme in these rugs, they began to use spirals and floral ornaments. The design first appeared on book covers during the fifteenth century. Their methods of production have not changed, they are made of wool and dyed with natural colors. 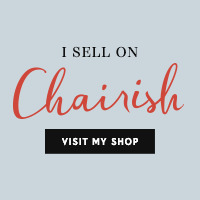 This attributes to their price as a large amount of manual work is put into them. 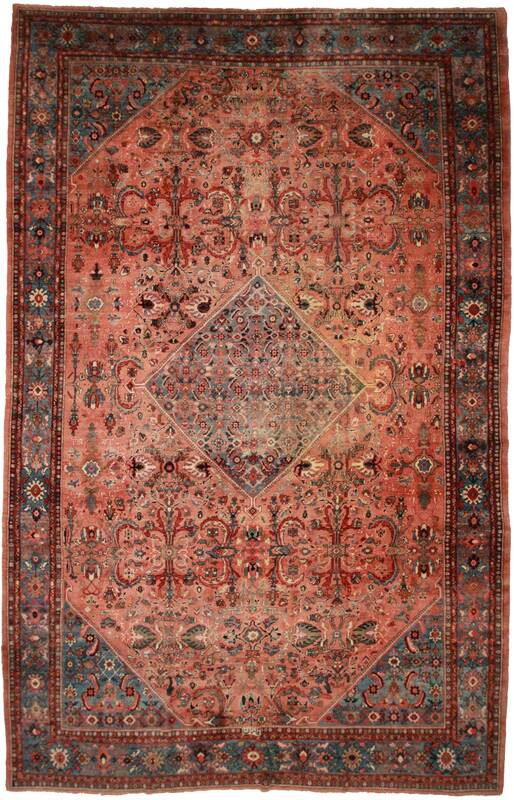 This is the reason why Persian carpets have retained their ancient status as an object of luxury, beauty and art. 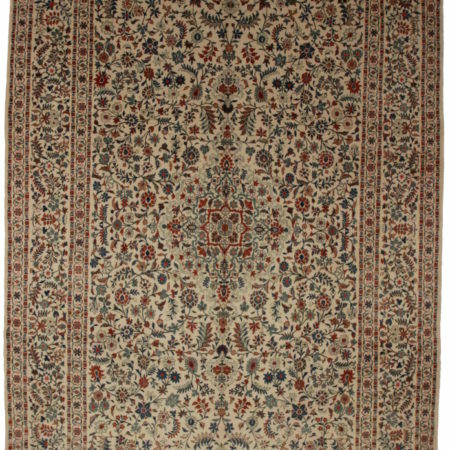 This Rug has a blue medallion in the center with and elaborate floral design. Around it is a peach color with a varied motif of blues, reds and ivory. On the borders and corners there is a blue background with white, red, brown and pink flowers and designs. This beautiful masterpiece truly is admirable. 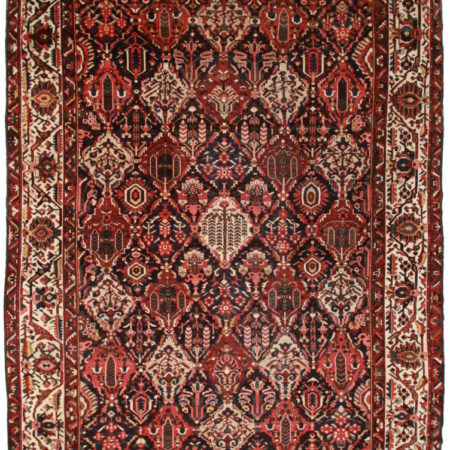 It can be used as a traditional and vintage piece; or as a contemporary rug to tie a room together with its elements.